Olmsted Point is one of the cheapest great views you'll ever score. The trail is only a quarter of a mile long, and you can get nearly the same views just wandering around the parking lot. 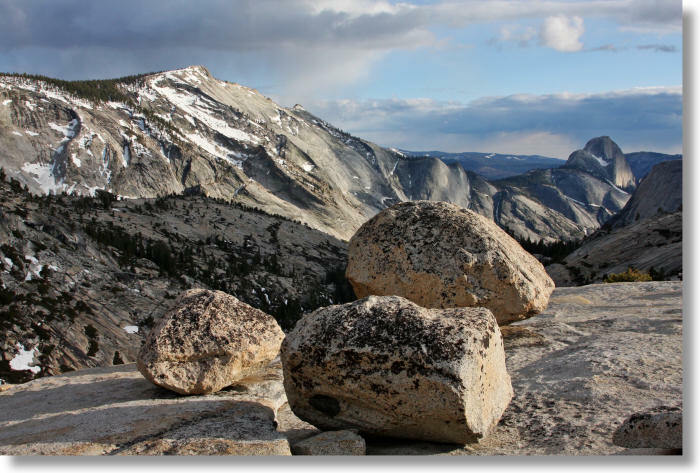 Besides the vantage point of Clouds Rest and Half Dome pictured above, you can turn around and get an equally unforgettable view of Tenaya Lake. If you've decided that this photo needs to play a bigger role in your life, you can download larger versions to use as your desktop wallpaper.